A Fish Needs A Stereo: I unloaded some gear this week. Vintage & quality audio gear I work on, music I like, and just a bit of hoarding. I unloaded some gear this week. Tomorrow I ship off my Advent 300 receiver to Newfoundland for a new life as a preamplifier for some nice tube amplifiers. The purchaser helped design some of the equipment for a high end audio company based in Newfoundland called Aurum Acoustics. Unfortunately it looks like the company did not last long. It's too bad because the equipment looks and probably sounds very nice. Now apparently the guy helps design UAVs (Unmanned Aerial Vehicles). Now I am not quite sure why an unmanned aerial vehicle would need a killer audio system, but you never know. It might pick up a really small hitchhiker sometime who needed some entertainment I guess. As well as selling the Advent I unloaded the Sony PS-1350 turntable last night. I think it's going to a good home, a masters student in architecture who came to get it by bus. I felt sorry for him as he was going to have to take it home the same way, so I drove him home across town with it. I would hate to think of the turntable falling as he ran for the bus in the rain, so I think I did the right thing. A few other things are moving on, or have already. The Harman Kardon receiver I acquired and fixed up last month, the RFT BR26 speakers I have had kicking around for years, plus the (who knows what model, but it was free) Sony DVD player have gone to Linda's living room for her mom to give her something to listen to downstairs as he she naps on the couch. The entire system's most expensive part was the B&W speaker stands I bought at Value Village for $10. 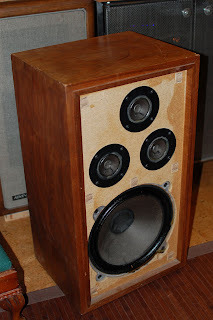 For the last item, next week I will meet with my AudioKarma friend Mike, to swap a large pair of Optimus 5b speakers for a pair of Realistic Pro-10 headphones of similar vintage. 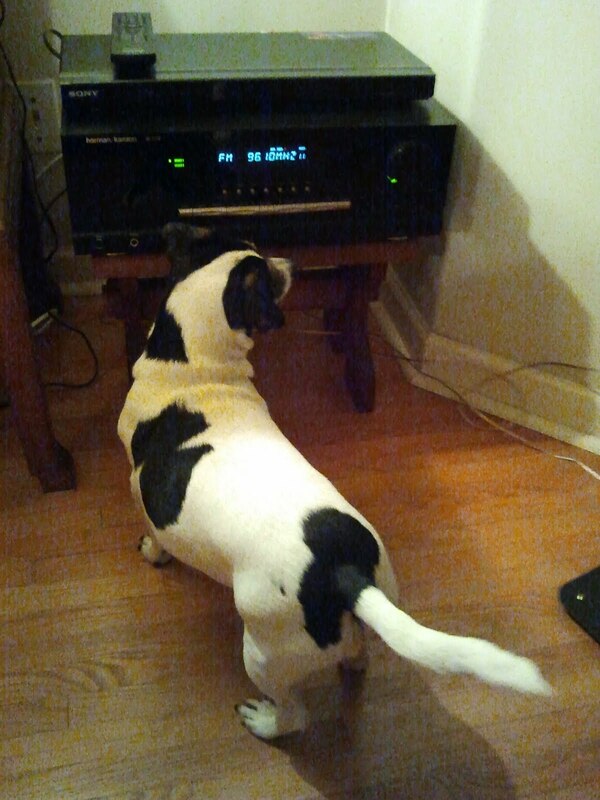 He and both appear to like the old Radio Shack gear. However he seems to have a better shop than I do and will probably be better able to refurbish these speakers which do need some work. I also just don't have the room for them, so Karma rules and I offered them to him the other day. Me getting the headphones from Craigslist but picked up by him was just a favour I could ask of him. They are a lot more portable for my small space!